Russian test pilot. Most tangible phantom cosmonaut, purported first man in orbit according to French press report two days before Gagarin. A real person and test pilot, but no evidence he ever flew in space or trained as a cosmonaut. Of all the phantom cosmonauts, the most tangible is Vladimir Sergeyevich Ilyushin, the purported first man in orbit. He is a real person; his flight was reported at the time it was said to have occurred; and in his old age he allegedly confirmed the story. But when we examine the evidence, it must be concluded that Ilyushin was never a cosmonaut and never flew in outer space. 1960, June 2 - Ilyushin seriously injured in an automobile accident. It is said that he was sent to Hangchow, China, for 35 days of special therapy. 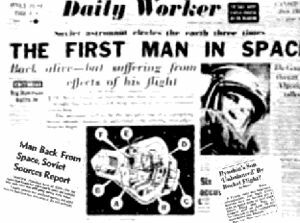 1961, April 10 - On the day prior to Yuri Gagarin's first flight, a newspaper account written by British Communist journalist Dennis Ogden stated that the Soviet Union had launched a man into space and that he had been injured. The next day French journalist Eduard Brobovsky named the man as Ilyushin. Other sources stated that Ilyushin was still walking with a cane as a result of his accident the previous summer. 1961, April 12 - Yuri Gagarin makes the first flight into space. 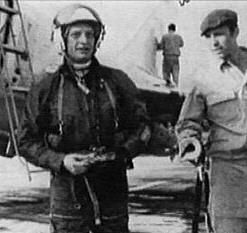 Following the flight Brobovsky runs stories stating that Ilyushin was the first into space, and that Gagarin's mission had never taken place or was a cover for Ilyushin's unsuccessful flight. 1961, May 1 - Soviet news agency TASS runs an item, datelined Beijing, quoting Ilyushin as calling the stories of Brobovsky 'rubbish and delusions'. Ilyushin - First Man in Orbit? As the historic day of the world's first human spaceflight drew nearer the rigid secrecy that had prevailed in the Soviet Union showed signs of breaking down. It began with a rumor from Moscow that a Russian cosmonaut had been launched in secret on Friday, 7 April. A BUP message to London at midnight on 11 April quoted unidentified sources as suggesting that the cosmonaut was still undergoing physical examination by Soviet scientists, but that he was suffering from post-flight effects of a nature more emotional than physical. BUP continued: "It is reported that the astronaut was a professional test pilot and son of a prominent aircraft designer. Russian and foreign journalists are maintaining a round-the-clock vigil, waiting for an official announcement. However, official sources still maintained an absolute silence, neither denying nor confirming the reports. Moscow Radio went off the air just before midnight without mentioning a spaceflight." Gagarin's flight would seem to have put these pre-launch rumors to rest. Yet a month later US News and World Report ran an item (echoing the claims of Brobovsky) saying that Gagarin was a fraud. The allegation was made that he had never made a space flight, but was only the healthy substitute for Ilyushin. It was again maintained that Ilyushin had flown a few days earlier but was incapacitated and not presentable to the public. The official press organs of the Soviet Union completely denied stories of these and other pre-Gagarin flights. The story had legs and kept recurring over the years. In the 1960's notoriously inventive occult writer Frank Edwards included an elaborate version of the story in his various flying saucer books. The Guinness Book of World Records gave the phantom cosmonauts credence by including Ilyushin's flight in their 1964 edition. After a brief revival at the time of the Apollo 11 moon landing, the story faded and little more was heard until after the fall of the Soviet Union. In the early 1990s Isztvan Nemeri published Gagarin: a Space Lie in Hungary. He repeated the Ilyushin story and the Gagarin cover-up but then went on to elaborate it further with Moscow urban legends. It was said that the Soviet Union brutally disposed of both men. Ilyushin was said to have been killed in an engineered road accident in 1961. Gagarin's death in an air crash in 1968 was said to have been staged. 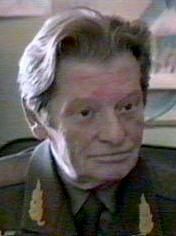 He actually died in a top secret Soviet psychiatric ward in the spring of 1990. In 1999 the final chapter came in the Ilyushin saga. Dr. Elliott H. Haimoff of Global Science Productions produced a documentary on Ilyushin's flight with the assistance of Moscow stringer Paul Tsarinsky. They spent five years and $ 500,000 on the film and claimed incontrovertible evidence that the flight had taken place. This documentary was purchased and broadcast by the Public Broadcasting Service in the United States. It was later picked up and broadcast by other networks around the world (including the Discovery Channel, Horizon, and the Canadian Broadcasting Corporation). The Ilyushin story as synthesized in the documentary is that Ilyushin was launched into space on 7 April, 1961. After three orbits of the earth Ilyushin lost contact with ground control engineers. Ilyushin was unable to eject from his Vostok capsule after re-entry and made a hard landing in China. He survived, but was interred by the Chinese. After a year of captivity and convalescence, he was repatriated to the Soviet Union in a secret deal between the countries. The film makers considered it likely that Gagarin was murdered by the KGB in 1968 because he was becoming uncontrollable and was likely to give the secret away. Interview with Dr. Dennis Ogden, the news reporter who broke the story in 1960. Interview with a Dr. Tom Maggard. He does not present any first-hand information or evidence in regard to the alleged flight, but summarizes information in the same manner as the narrator. Ilyushin does not appear on the film describing his flight or claiming that it occurred. 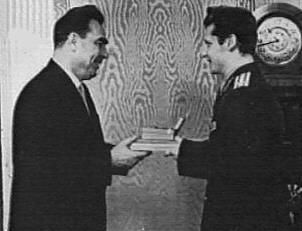 The narrator states merely 'Although Ilyushin promised to reveal his story on camera, upon the producers arrival in Russia, he chose to steadfastly maintain his secrecy'. So that's it - aside from the same story told by Dennis Ogden in 1960, the only new evidence is that of Feller, who claims to have seen certain documents in a Kremlin library, and Gruschenko, who claims to have filmed the actual event. 'Extraordinary claims require extraordinary evidence' - here we are faced with a history-changing claim being made on the basis of the word of two men. Against this is a flood of first-hand accounts released in Russian after the fall of the Soviet Union by those intimately connected with the events of that time. The diaries and memoirs of Soviet managers, cosmonauts, and engineers at the center of the space program have been published. Personal and official documents, diaries, and contemporary notes from the time have been sold at auction and purchased by Western museums and institutes. The Soviet Union's greatest secrets - the failed moon landing program, the Nedelin disaster, the horrible radiological and biological warheads developed for their missiles - came spilling out. Surely the Ilyushin truth would be included among such enormous revelations. But there was not a whisper of the story from any Russian sources. In the two years since the release of the documentary not a single person has come forward to substantiate it. A good friend of Ilyushin stated that he had 'never heard of such delusions'. I am just disgusted with all of you doubters and 'James Oberg'-type clones who have just been duped for the last 40 years, and are just expressing their 'sour grapes' over not being able to root out this story first...there obviously is no one who can even hope to claim to be anywhere near as versed in this whole matter as we are. Any person who just pooh-poohs this as a myth or a fraud, is in reality a fraud themselves who can only be considered a puppet to Russian propaganda.....we will let the history books of the future decide who scurries for cover like roaches and holds up 40 year old Russian propaganda as their way of thinking that they know the truth about this issue and not being called an ignorant idiot. I would not describe the producer of the film in such acerbic terms. But consider the depth of the material that exists that refutes the claim that the Ilyushin flight ever occurred. We have the day-by-day diaries of Kamanin, head of the cosmonauts, for the period of Gagarin's launch. We have the memoirs of Vostok spacecraft designers Chertok, Feoktistov, Mishin, and many others who describe in great detail their own activities in relation to the launch. We know who arrived at the space center for the launch at what time, what formal procedures were underway for crew selection, preparation of the launch vehicle, and so on. More importantly we know how these relate to the same procedures and preparations for later launches. There is nothing substantive to indicate any truth of the Ilyushin story. There are also hundreds of photographs released of the cosmonauts in training, of preparations for the launch, of the recovery of the capsules. Even during Soviet times censors would make mistakes and release photographs showing unknown cosmonauts or spacecraft. These provided material for Soviet space watchers of the time to penetrate the secrecy around the program. But in all of these hundreds of photographs released before and since the fall of the Soviet Union there is not one to substantiate Ilyushin training as a cosmonaut, let alone his launch. Against this incredible mass of documentation the supporters of the Ilyushin theory have presented not one document, not one first-hand witness account except the brief statements of Mr Gruschenko, and not a single photograph to document their case. We are willing to keep an open mind. Historical accounts have been and will be changed if evidence is provided. But in a world where the former head of the Soviet bio-weapons program has admitted that Russian ICBM's were fitted with plague/anthrax hybrid warheads; where the head of the lunar landing program has admitted the Soviets wasted billions trying to beat the Americans to the moon; where the accounts of the death of hundreds of cosmonauts, technicians, and officers in ground training and launch accidents has been admitted - would - could - such a story be still kept secret? Ilyushin bureau Russian manufacturer of aircraft and missiles. Family: Phantom Cosmonaut. Country: Russia. Agency: VVS. Bibliography: 5546. 1927 March 31 - . Birth of Vladimir Sergeyevich Ilyushin. - . Related Persons: Ilyushin. Russian test pilot. Most tangible phantom cosmonaut, purported first man in orbit according to French press report two days before Gagarin. A real person and test pilot, but no evidence he ever flew in space or trained as a cosmonaut..
2010 March 1 - . Death of Vladimir Sergeyevich Ilyushin. - . Related Persons: Ilyushin. Russian test pilot. Most tangible phantom cosmonaut, purported first man in orbit according to French press report two days before Gagarin. A real person and test pilot, but no evidence he ever flew in space or trained as a cosmonaut..